The dark, cold months of winter are officially over. Spring is here and with warmer weather on the horizon, Salinas Valley is buzzing with activity. This couldn’t be more true for property owners. While many homeowners view this time of year as a cleaning opportunity, good property owners know that this season is not only full of cleaning. It’s also full of maintenance work. That’s right, property owners not only have to ensure their rental properties are clean, they also have to make sure all necessary spring maintenance tasks are completed before summer arrives. 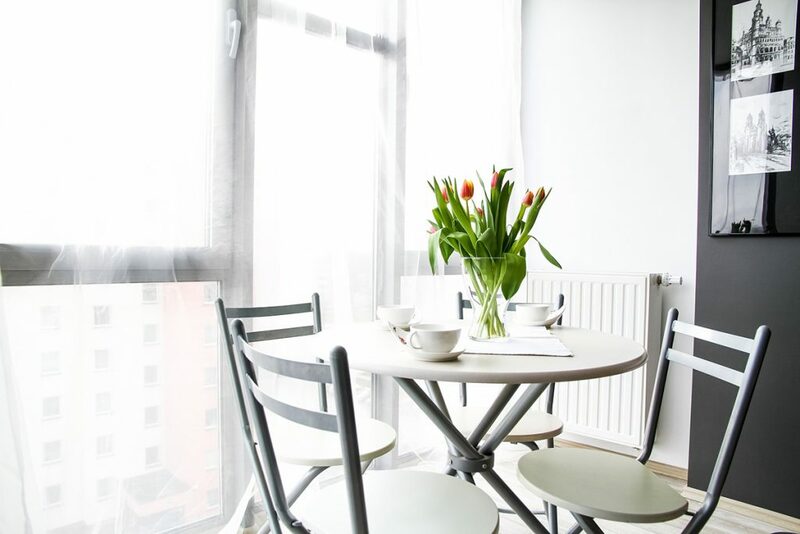 If you are preparing property to rent, or are currently renting, it’s vital that keep your tenants satisfied by making sure your property is fully prepared for spring. Not only will this keep your current tenants happy, it’s also a great way to draw in future tenants. After all, it’s hard to beat the appeal of a well-maintained, fully modern property. If you want to get the most out of your real estate investment, you need to make sure your rental property is fully prepared for the spring season. Keep reading to learn useful spring cleaning and maintenance tips all property owners should be aware of. Garbage disposals usually need a little care and attention, especially ones in rental properties. If a garbage disposal within one of your properties has a foul odor, don’t worry. The remedy is simple. Cut a lemon and grind it in the garbage disposal. Once the garbage disposal is clean and smelling better, inspect it to make sure everything is working properly. If there’s a problem, call a plumber immediately. The longer you wait, the more costly this problem can become. You’ll also face the risk of your tenants becoming upset by the inconvenience. Clean all the screens on your property. While doing so, check for any holes. If the holes you find are bigger than the size of a quarter, you need to patch up the holes or replace the screen entirely. After all, you don’t want to take the risk of bugs creeping in and damaging your property. You can also tighten any loose frames and give them a fresh coat of paint. Make sure all decks, patios, porches, railings, and stairs are in good condition. If there are any signs of deterioration, you need to take the proper steps to repair the damaged areas. Remember, wood fences and open decks need to be treated every four to six years. If you don’t know how to do this, you can hire a deck professional to treat your property’s deck, patio, and fence for you. When did you last check your property’s current sprinkler system? An irrigation system older than five years is ready to be upgraded to a newer model. If your sprinkler system is up to date, make sure it doesn’t need any leaky valves, exposed lines, or broken sprinkler heads repaired. Have you noticed an area in your property that is always saturated with water or is always dry? Yes? Then test the irrigation system to figure out the issue. If you’re unable to solve the problem yourself, you can always call a professional landscaper to help you out. To improve the value of your property, you must invest in your landscape. If your property doesn’t have a landscape, reach out to a local landscaping team to design one immediately. After all, a property’s landscape is the first thing potential tenants will see. A landscaper can also assist you with maintaining your landscape. Spring is the perfect time to add new flowers and plants to your property. It’s also a great chance to get the yard pruned, trimmed, and prepped for renewed growth. Make sure you take time to repair and clean up any damages made during the winter. This includes tasks such as cleaning out clogged gutter. Clogged gutters run the risk of causing leaks and poor drainage which can result in a number of costly problems. You can save both yourself and your tenants the hassle of dealing with foundation issues or basement flooding by cleaning out your property’s gutters. While you’re cleaning, take a moment to check for any holes, cracks, or other signs of damage. Anything your find should be repaired as soon as possible to prevent water damage from occurring. While it’s important to maintain your property, it’s not always easy to find the extra time to do so. If you don’t want to have to deal with the hassle of maintaining your property, consider hiring a property manager. For example, property owners in Salinas, California can get professionally assistance from Coast & Valley Properties. Their property maintenance services even include annual property inspections.